Chris Christensen course Butter comb is the best that money can buy! 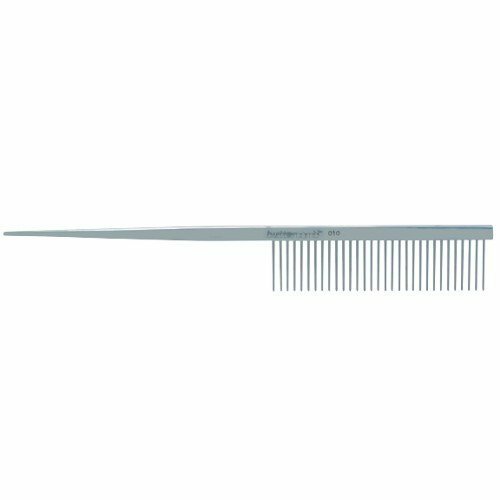 Handcrafted to the smallest detail, this comb glides through the coat like butter without snagging or breakage. The stainless steel teeth are solidly embedded in a solid brass core creating a strong, long lasting tool that is more comfortable to use.